Walter Mosley, bestselling author of more than 40 books, and “one of this nation’s finest writers” (Boston Globe), is America’s leading author of detective fiction in the tradition of Dashiell Hammett and Raymond Chandler. Mosley is best-known for a series of mystery novels set in Los Angeles featuring African American private investigator Easy Rawlins. Mosley’s twelfth Rawlins mystery, his first in six years, is Little Green (2013). Publishers Weekly called it “superb,” and Booklist said, “The return of Easy Rawlins is a major event for crime-fiction fans.” Among his other works are Devil in a Blue Dress (1990), Always Outnumbered, Always Outgunned (1998), Cinnamon Kiss (2005), and The Long Fall (2009). 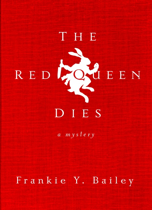 Frankie Y. Bailey, UAlbany Criminal Justice professor and novelist, is the author most recently of The Red Queen Dies (2013), the first novel in a “near-future” police procedural series set in Albany. Booklist said that the novel’s protagonist, detective Hannah McCabe, “shows she has what it takes to succeed at her work and to win readers.” Bailey’s earlier books include Wicked Albany: Lawlessness & Liquor in the Prohibition Era (with Alice Green, 2009); African American Mystery Writers (2008); and the Edgar-nominated Out of the Woodpile: Black Characters in Crime and Detective Fiction (1991). She is also the author of five books in the Silver Dagger mystery series, featuring crime historian Lizzie Stuart. Next Article Chapter Meeting Tomorrow!